The coolest thing about the modern World is that anyone can be heard. And even a minor voice can become world spread. That was mostly achieved thanks to many social networks and online platforms. With over one billion users YouTube has become one of the most influential and popular platforms all over the world. There are many bloggers who have over one millions subscribers. Their viewers trust them and listen to what they say. Such bloggers create their fame by doing videos on various popular topics: it can be channel dedicated to beauty & fashion, healthy lifestyle & sport, business & earning money, gadgets, some educational lessons and many more varieties. But there is one rule which unite all these channels in the world of limitless information — if they want to be heard, they must create interesting, trustworthy and valuable content. So if you are ready to become a new YouTube star and you believe that you have something to share with the world, let’s take a look at the steps of creating a channel. 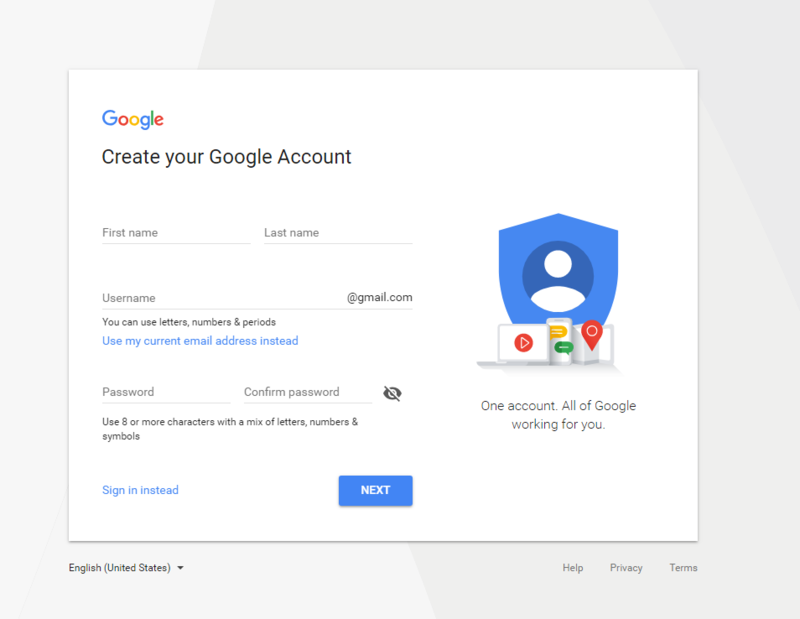 First of all, you need to have a google account. You should open google.com and create it entering all required information. Once you have filled all necessary gaps, made up a password, you can finally start creating the channel. Yeah, we all don’t like this process, but they do it for the sake of good. Now you need to sign in to YouTube. You can do it both from your computer and from your mobile, but we recommend to use your computer as it is more convenient. 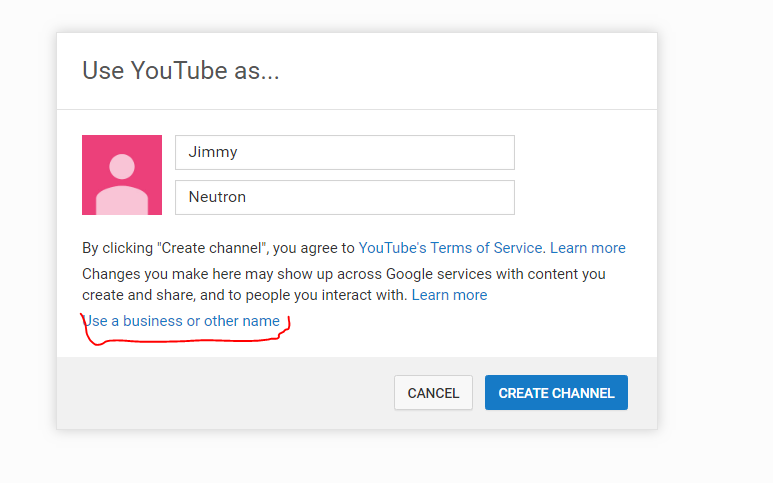 Google will offer you to use your name and surname, but as you’re here to make a business channel for its monetization, you should click “Use a business or other name”. Right after that, you will be transferred to the other page and there you need to insert the name of your future channel. If you have a well-visited website or a popular profile/community in social networks, relate your channel name to that space. As that space might already have loyal audience and your readers/followers will also subscribe to your YouTube channel because they will recognize the name. If you have powerful personal brand, make sure that you use your name for YouTube channel naming. Your channel and your personal brand will evolve together helping each other to achieve success. If you don’t want to use previous strategies, make a name relevant to the topic which you are going to talk about on your channel. For example, we have decided to create a channel with gadget reviews, so we named it “Best gadget reviews”. Having typed in the name of your future channel, press the button “create” and here you are — the owner of a business account. Warning! Before starting all adjustments, do not forget to verify your account via your phone number. 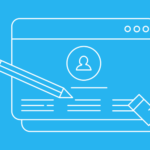 If you don’t verify it, you will lose many cool features which you can add to your channel. We are still far from finishing. Now you need to show what you got. Let’s start with adding a channel icon. 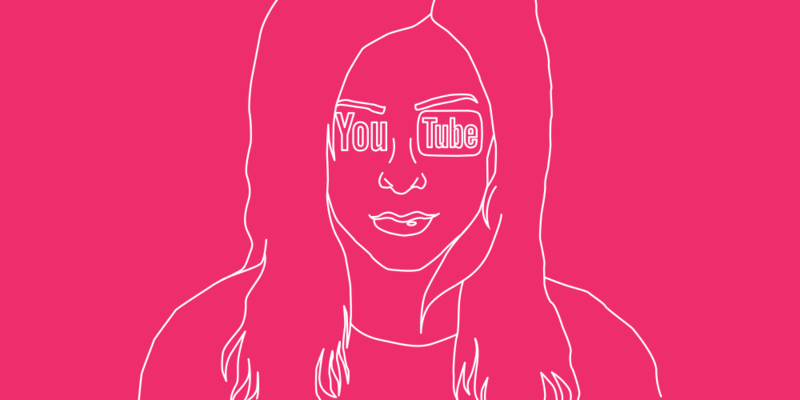 If you have a cool imagination and design skills, you can create a logo for your channel. In our case, we will add a photo of gadgets reflecting the topic of our channel. Having added an icon, press the blue button “customize channel”, here we will make all necessary changes and add information about our channel. It is necessary to decorate your channel page so that it does not look empty. Add a channel art which will be relevant to the topic of your channel, but do not use the same photo as for your icon as it will look a little weird. Alright now we have all necessary photos, but it is not enough. When a user comes to a channel on YouTube he wants to know which content he will find there. And you should provide information in short but interesting way. Describe your channel briefly in the section “About” which is located on the dashboard. If you are going to develop your personal brand, you can add some information about yourself, your achievements, experience and other appealing facts. All preparations are finished and now you are ready to upload videos and to make your channel worth visiting and subscribing. Once more, don’t forget to verify your channel or you won’t be able to make some special changes like thumbnail and others. Your first step is to upload the video. The icon of a little camera with a plus inside it is in the top right corner, you need to press it. Then upload the video from your computer. While waiting for your video to get processed, you can add essential information about your video: title, description section and thumbnail. Let’s take a look at each characteristic separately. You should make up a title for your video which is attractive and provides the main point of the video at the same time. If users like the title but don’t understand it, there is almost no chance that they will decide to watch the video. It is good to use the most important keywords in your title (You can’t make a title longer than 100 characters, and to be honest it will be too long for reading). Try to reflect the point of your video and what you will share with the viewers. The description should include brief information about the video, you can also share some thesis on what you will show and talk about. Don’t make the description too long and keep in mind that users will be able to see only first two-three lines, to see the rest they will need to click “show more” button. 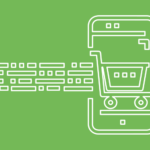 If you are mentioning the products in your video, don’t forget to paste the affiliate links to them (we will describe the whole process and purpose of it in details in the upcoming article). 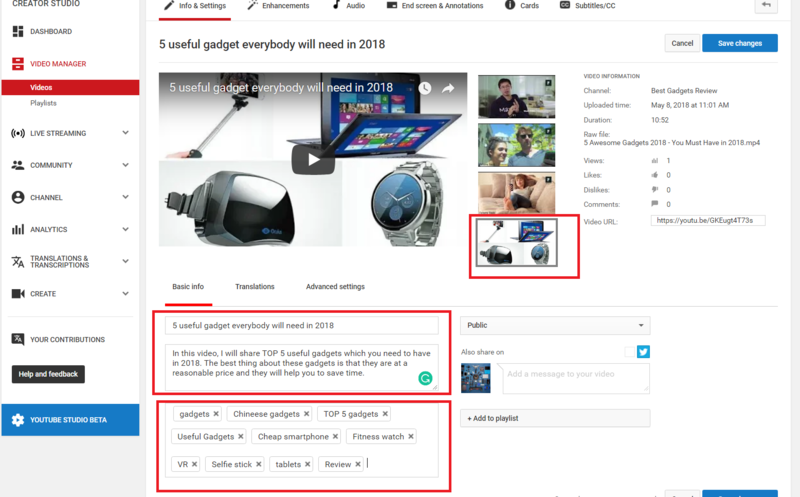 This section is also important, as your video will appear in search also based on these tags. But don’t overwhelm with them, it is useless to add 100 tags. 10-15 tags will be enough. Use main keywords for the tags, you can also add your brand name and other relevant words and word collocations. 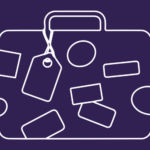 Be specific and think well before choosing right tags. Don’t forget about this important part. Thumbnail is the icon of the vide. It is the first thing which people see, so if they don’t like it, they may not click on the video. The ideal thumbnail will include a nice picture and a short text. Make the image simple but bright, attractive and maybe a little provocative, plus add some text to the picture or even emojis. Make people want to click on it and watch your video. The gaps which you should fill in. If you want to improve your video, go to the enhancement section. There are lots of options, for example, you can trim your video, try slow motion, play with contrasts, apply some filters to it or even blur necessary parts of the video. In future when you will have hundreds of videos, you will also need to add playlists so that your subscribers don’t get lost on your page. But it is a little later. Now you are ready to publish your video. Do not worry if the process of publishing takes time. Sometimes it may last even several hours if you have introduced many changes. Let’s think about why people will come to your channel. It is one of the most important questions. They will come to watch and consume your content. So before attracting hundreds, thousands and more subscribers and viewers you should post several interesting and useful videos which will make them want to subscribe to your channel. It is good if people come to a developed page. Keep going and uploading new videos, don’t give up on it if you don’t get many subscribers within the first month, they will come later. But if they come and see that you have stopped posting videos, they may think that you have stopped your YouTube activity and so they will leave. Spread the word — share your new YouTube channel on your social networks where your friends and colleagues will be able to see it and be your first subscribers. The same thing goes for a blog or a website if you have them. Many popular YouTubers have started their career thanks to the word of mouth. Your friends and related ones will be the first to support you and your channel, they may invite their friends who like the topic of your channel and that is how everything begins. You can get more than a hundred subscribers with help of a word of mouth. And when new users will come to your channel and see that you have subscribers, they will realize that you have content which is worth subscribing. Thus more and more users will subscribe. We have already discussed the importance of title, description and tags but they are also very important for attracting viewers who will convert in subscribers. Think about what your potential viewers may type in search and name your video accordingly. Optimize your title, description and tags, use as many keywords as possible so that YouTube will show your video higher in the search. You can even use the name of a popular person in the title, but only if you talk about that person in your video or if he or she is related somehow (you may use someone’s quote), but never lie in your title, nor in the description, nor anywhere — just never. Choose the right category for your video. Category is located in the section “Advanced settings”. If you choose not a very popular category, you will have fewer competitors. In the beginning, you can make titles and descriptions similar to some top videos in your category. This may help your video to show up in the section “related videos” what will increase the rank, and we all know that people like to click on related videos. If you write articles on your social networks or for some websites, include links to your video in them. For example, you have a channel about healthy diet and sport and you also write articles on this topic for a popular blog. If you include the link to the video in the article, YouTube will rank your video higher. You can also embed your video in the articles, embedded videos are better viewed. Tip: YouTube is the product of Google, so if you’ll find your videos ranking high on YouTube, it will also be higher on Google. If you have friends-influencers, ask them to share your video and recommend your channel to their viewers. When you get enough subscribers, make a deal with other channels about cross-promotion. You recommend their channels to your viewers – they recommend yours to theirs. In the beginning, in order to promote your video, you can buy advertisements on Facebook, Instagram, Google Adsense or other Pay Per Click Ads where you can share the link to your video. Always include a call to action in your video. Ask your viewers to subscribe to your channel, to like the video and to share it with their friends if they like, tell them how to do it in case they don’t know. Interact with your viewers. Encourage them to leave comments, and, of course, always answer your viewers. You can become a YouTube partner. Once your channel is well viewed you can have YouTube Ads on typical CPM (cost per mille) model when you get paid if the advertisement is watched 1000 times, the average cost is 2$ per 1000 views. But to do so you need at least 4000 hours of watch time and at least 1000 subscribers over the past year. This way is pretty hard and not highly paid. You can make much more money on YouTube through affiliate marketing. You don’t have specific requirements like that your channel must have at least 1000 subscribers. You can earn even if you have 300 subscribers. The process is very simple. Let’s take a look at it a little closer. You sign up to the affiliate network and indicate your YouTube channel as the ad space. Then you need to choose which advertisers’ offers you want to promote. For example, you have a channel about healthy lifestyle and sport, so you go to the section “All programs” and choose any offer in the category “Health & Beauty”. You decided to promote, for instance, iHerb. You create an affiliate link with offers of iHerb and paste it in the description of your video. If you want to promote 5 different products, paste 5 affiliate links to them. The rest is up to you, you should make an interesting video so that your viewers will want to buy these products and will click on your links. It was a brief instruction how to start your business channel and how to attract viewers to it. Having attracted enough subscribers and viewers, you can start earning with your channel. We will describe how to start your journey to becoming an influencer and more details about how to monetize your channel in our upcoming article.